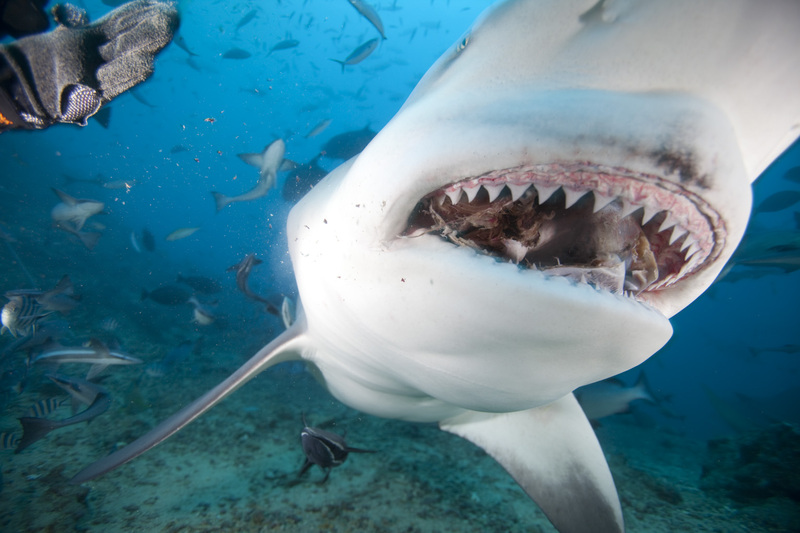 Bull sharks are amazing. I’m on my third beer – a new type called Vonu which is much better than the standard Fiji Bitter – and it’s still hard to process the feeling of kneeling on the ocean floor 86ft below the surface while staring down an approaching bull shark. I added quite a few shark varieties to my list the other day which now includes whale, gre at white, white tip, black tip, grey, lemon, nurse, and bull. We had hoped to also encounter the illusive tiger, but at least I have a reason to return. Even without the tiger shark I was not disappointed. Bull sharks have that classic shark look. Close your eyes and imagine a fat scary shark and that’s a bull shark. I had several swim right at me, our eyes locked, that came within a couple of feet to my face before turning to make another circle. I wasn’t scared. I did feel a few moments of adrenaline as my body reacted to the sight of a big predator headed straight at me, but it was fleeting. The enjoyment was too great. The only problem was that the dive was too short. Twenty five minutes of bliss then a big Fijian was giving me an aggressive thumbs up sign (probably because I had already ignored the last five “head to the surface” signs he’d given). I just didn’t want to leave. We had two dives, the second at 60ft. 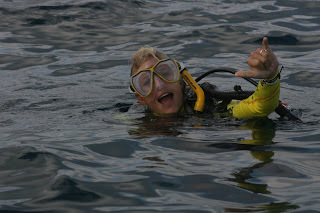 In between dives I told the master that I am obsessed with sharks and had d one multiple shark dives. I was hoping it would lead him to pull me closer to the sharks. Once the feeding started I was chosen first to kneel next to the feeder. The sharks made circles, took the tuna head on offer then swam right past me as he chewed and swallowed. It was awesome watching such a powerful creature that is so linked to maneating and fear swim right past me, peacefully. The sharks got closest to Cheyne. Either they liked the red hair or they could sense his fear and needed to look him over closer to see why he was afraid. After a few incredibly close passes, much closer than to anyone else, he gave the camera the “I’m over it sign” and cruised back to a safe distance. I could go on and on about how much fun it was and how much I wish we got another chance. I could have stayed down there with the sharks all day…. but my beer is getting warm. Sounds like a really fun experience. I have never been on a shark dive. Have you done any cage diving?